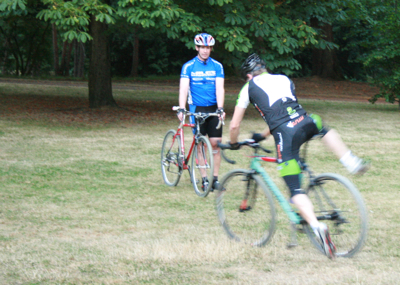 Cycling Northwest’s Russell Stevenson has been leading a cyclocross clinic on Thursdays. 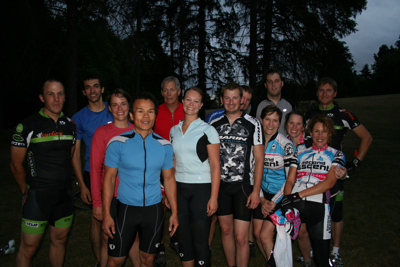 This past week the group was in Woodland Park, doing bunnyhop drills and a mock race. 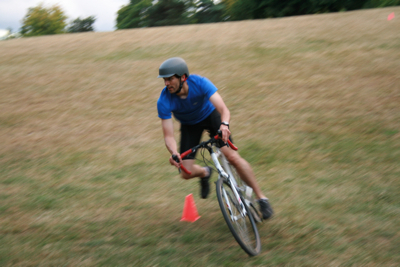 All the participants were psyched up for season opener Star-Cross in September. 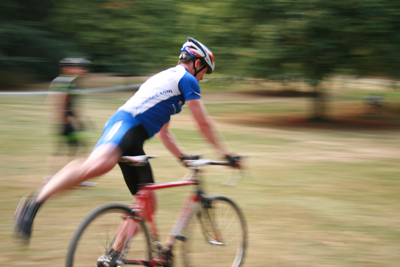 Of course, for the non-technique oriented, you can try Kruger’s Kermesse this weekend down near Portland OR.